Palm Harbor, Florida has become one of the most affluent communities in the Tampa Bay area which leads us to believe that its residents like to do it up “big” when hosting birthday parties and other festive occasions. 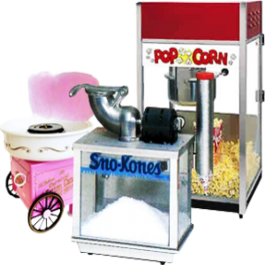 Our party rental business can be a huge help in that endeavor. We are known as Done Rite Party Rentals (the bounce house party experts) and we offer a large selection of inflatable bounce houses and other party needs. party games and all extras that we have provided. Even though the city of Palm Harbor is home to many historic buildings which add to the town’s ambience, the residents still welcome new and innovative ideas that keep the city current with modern times. Bounce houses and recreational water slides have become the new wave in celebrating all types of events. Our inflatable bounce rides come in an assortment of themes and our water slides are available in age appropriate sizes. We don’t just provide rental slides for the youngsters….we have learned that adults often enjoy a slide down one of our chutes. You’re never too old to have fun! 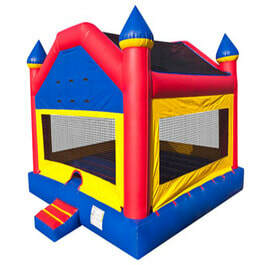 ​All bounce houses, castles and moonwalks come in a selection of themes. 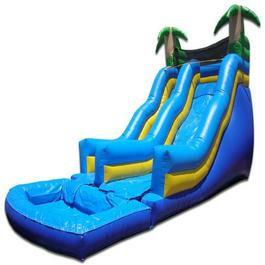 You can combine inflatables as a package deal or pick and choose each separately. Your options are numerous. 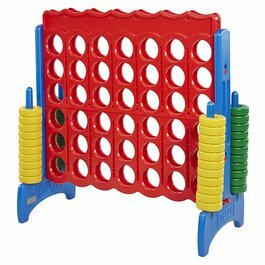 Done Rite Party Rentals has many suitable party games for rent. Ask for our suggestions. 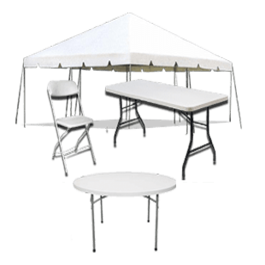 We also have tables, chairs and tents available for rent. As a further convenience to our Done Rite Party Rental customers, we can also supply cold beverages (soda or water.) Many of our rental customers in Palm Harbor love the idea of letting our company take care of everything, including bringing drinks. We recognize that an active day in the outdoors (especially in the sometimes blistering heat of Pinellas County, Florida) can jeopardize healthy hydration so we want to be sure that neither you nor your party guests suffer from thirst. We are a company that is concerned with safety so we assure you that all our bounce houses and water slides are inspected, cleaned and sanitized before and after every use. Done Rite Party Rentals is licensed and insured and works in compliance with Palm Harbor codes and regulations.